Salary break-up is an HR initiative by design. It’s done to help you save taxes, wherever possible. As simple as it sounds, layering your salary structure can be a bit complicated. It can be quite the rally of matching your expectations of a higher take-home salary; while keeping your tax cuts to minimum. ii) Amount of HRA received -- you can negotiate for a higher HRA if you wish to match the amount with your house rent. LTA: This is another popular tax-saving allowance, known as LTA or leave travel allowance. It is paid to cover your holiday expenses, such as train tickets or air travel, etc. This tax saving benefit is only available on domestic travel. Allowance or Benefits: As a salaried employee, you may also get other allowances such a dearness allowance, conveyance, mobile phone, internet, car allowance, and so on. Most of these allowances are non-taxable. The only requirement is that these allowances must be defined under the Income Tax Act. Also, one must note that some allowances may or may not be part of your Gross Salary. You may, however, request your employer to include the same in your salary structure to cut down the taxes. PF contribution: At present, the PF contribution stands at a fixed figure of 24 percent of your basic pay. Here, you make a contribution of 12% towards your PF account. This figure is deducted every month from your salary. Alongside, your employer will contribute the remaining 12%. Your income from the PF account is eligible for tax deduction under section 80C of the Income Tax Act, 1961. Bonuses: This a performance-linked component, and in some cases companies may offer joining or retention bonuses. Section 80C gives you multiple options to save taxes, and also save for your future. One of them is your Employee Provident Fund. The interest you earn on your income is also exempted from tax. These numbers pretty much set the course of your career graph. It is the summation of your present salary structure, bonuses, perks, pension policies and so on. Gross Salary is inclusive of Basic salary, HRA and other benefits/allowances. It is the amount paid before any tax or other deductions including bonuses, PF, gratuity and other perks. It’s basically your take-home salary or the in-hand salary. It is what your bank account is credited with on your pay day. Your take-home salary is calculated after deducting Income Tax at source, provident fund (12% of your Basic Pay), professional tax and other deductions as per your company policy. Here’s a tip, when negotiating your salary -- Ensure that your basic salary is 50-60 percent of your gross salary. You can discuss, understand and negotiate with your HR to ensure that you claim those missing numbers. For this, ensure that your salary is loaded with allowances. At this point, we’d also like to clear that allowances needn’t necessarily be over and above your Gross salary. Allowances can be a part of your CTC -- Cost to Company. Employees can select a number of tax friendly components to cut down on the overall taxes. Most of these allowances are exempted under the Income Tax Act, 1961. This section gives you multiple options to save taxes, and also save for your future. One of them is your Employee Provident Fund (PF). The interest you earn on your income is also exempted from tax. Other vehicles under Section 80C include a Public Provident Fund (PPF), National Pension Savings Scheme, Sukanya Samruddhi Scheme and more. In addition to the government-linked savings scheme, you can also opt for a ELSS mutual fund -- Equity Linked Savings Scheme. These scheme come with a lock-in period of 3 years and the saving under such schemes are exempted from tax. Most leading mutual fund houses in India offer ELSS schemes. These schemes will not just give you access to own an asset class, but also beat inflation over the long term. The total tax saved will be Rs. 24,960. This section accounts for deductions made towards health insurance premiums. This includes premiums made for towards yourself and your dependant family. At present, you can avail a maximum deduction of Rs 25,000 per year. This deduction is towards interest paid on education loan for higher studies. You can claim this deduction for up to a maximum of 8 years or till the entire amount is paid off, whichever is earlier. If you are a first time home owner, you can claim deductions on your interest amount under Section 80EE. Here, you can avail a tax deduction of up to Rs 50,000. Some spends such as donations are exempted from tax under section 80C. These donations can be made towards certain NGOs and political parties. However, these donations need to fulfil some criteria. And, if it does, NGOs will most likely inform you at the time of donations. 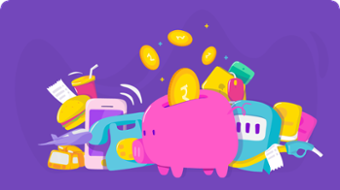 In addition to to your acts of kindness, you can also save taxes on your daily essential spends such as food, travel, house loan, auto lease allowance, spends towards mobile phones and internet. All this falls under the benefit allowances offered by your company. This is where you can claim benefits up to Rs 80,000. And, to make the best of this, you need to negotiate with your HR to understand the employee tax-saving benefits. As a salaried employee, one is at the advantage of claiming benefits through their organisation. However, for business owners life isn’t so glum. Just like any other salaried individual, you can avail tax saving benefits on home and education loan, health insurance premiums, LIC and PPF savings, mutual fund investments and more. 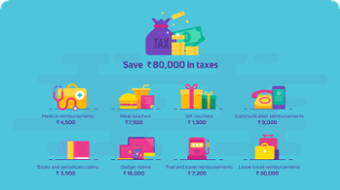 In addition to this, you can save taxes by ensuring that you limit your cash payments to up to Rs 20,000 in a single day. Further, you get multiple benefits for additional depreciation on your assets under section 35AD, etc. Paying taxes is inevitable, whether you stand up for the Act or fight against it. So, as an Indian citizen, you are eligible to pay taxes if your income exceeds Rs 2.5 lakh, annually. However, once you are 60 years old then you may stop paying taxes. The only exception to this rule is that your income must not be more than Rs 3 lakh. The reason for this rule is that, irrespective of age, Income Tax is defined on the basis of your earnings. And, the numbers vary as per your income tax slab and earnings. If this piques your interest further about how you can save tax or bracket your future salary slabs, sign up for the Zeta Newsletter. Here, we bring you the latest in employee benefits, gifting, and HR insights that you wouldn’t want to miss.